ANDAF conference was focused on financing options for various stakeholders and industries. 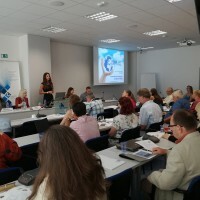 EENSULATE project along with other H2020 projects was presented by Gabriela Urbanová from FENIX TNT. 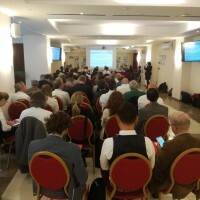 The conference took place on Monday 25th of February 2019, in Padova, Italy. Its goal was to spread awareness about possibilities that stakeholders have, to finance their innovative ideas. It was great to present our project to the gathered audience and we hope that EENSULATE will be an inspiration for other innovative projects. Our partners Ulster University and SELENA submitted a scientific paper "Investigation of synergistic effects of inorganic smart fillers and expanded graphite on the flame retardancy of polyisocyanurate insulation foam" for the 9th International Seminar on Fire and Explosion Hazards. 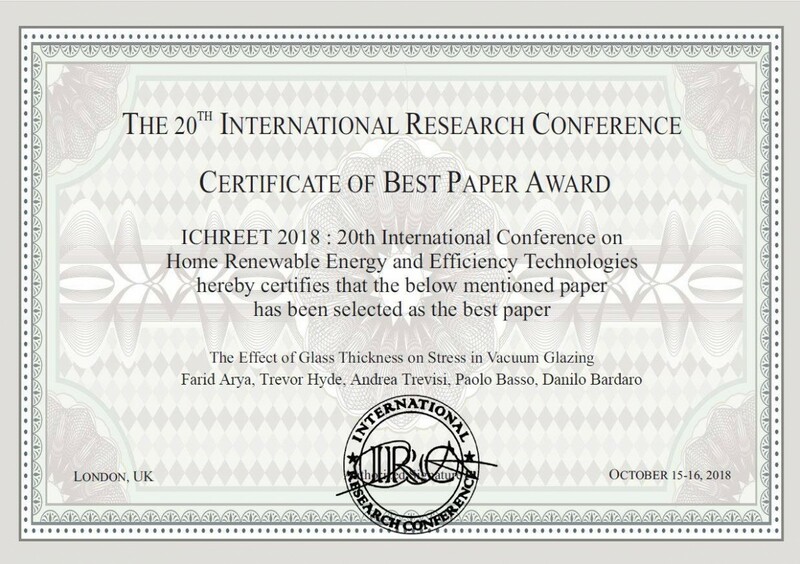 We are very happy that the paper was accepted by the Scientific Advisory Board and will be presented at the conference. The seminar takes place on 21st−26th April 2019 in Saint-Petersburg, Russia. 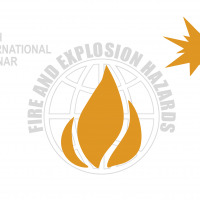 During its more than 20-year history, it has become one of the important international events in fire and explosion science and engineering. Are you planning to attend ISFEH? 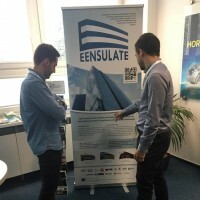 EENSULATE project was presented at World Sustainable Energy Days 2019 in Wels, Austria! 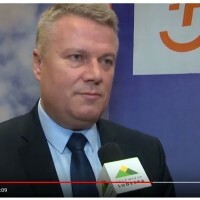 FENIX TNT exhibited our project at the "TODAY's WASTE, TOMORROW MATERIAL!" workshop on 28th February 2019. We hope you enjoyed it & see you in person next time! 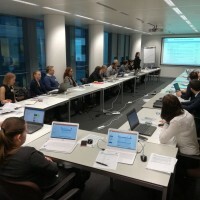 The Second Review Meeting of EENSULATE project took place on 31st January 2019 in Brussels, Belgium. We have evaluated the current status of our project and planned the following steps that will help us to further develop EENSULATE. Thank you all for doing a great job! 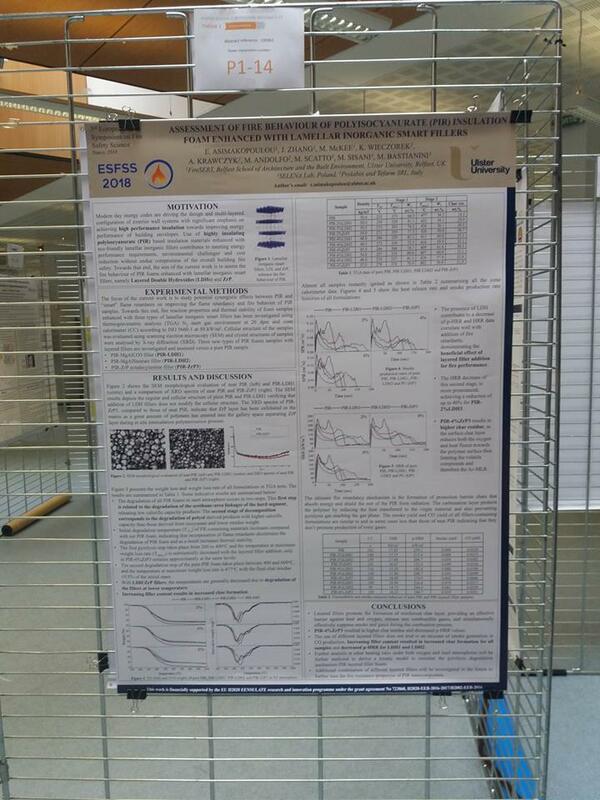 Project representatives from Ulster University presented our project during the ESFSS conference 2018 in Nancy, France. The aim of the conference was to gather researchers from and beyond Europe to have exchanges and discussions about fire safety science. The program included oral and poster sessions for the presentation of fully peer-reviewed papers over the three days, including invited lectures from world’s top fire science researchers. 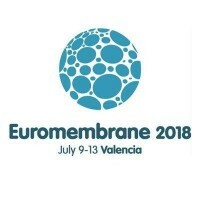 EENSULATE consortium will meet again soon! The meeting will be held from 30th to 31st January 2019 in Brussels, Belgium. 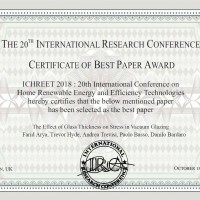 EENSULATE researchers Farid Arya, Trevor Hyde, Andrea Trevisi, Paolo Basso, and Danilo Bardaro from the Ulster University received the Best Paper Award of the ICHREET 2018: 20th International Conference on Home Renewable Energy and Efficiency Technologies. The paper titled for the paper titled “The Effect of Glass Thickness on Stress in Vacuum Glazing”. 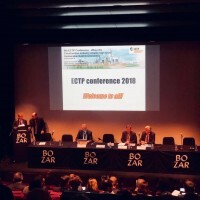 Actors from the whole construction value-chain, including academia, industry, and representatives of the European were discussing the topics of innovation in the Built Environment in Europe at the 8th ECTP conference. In addition, the ECTP conference offered an exhibition area in which key results from innovation projects were presented. FENIX TNT represented our project at their stand with other H2020 projects. 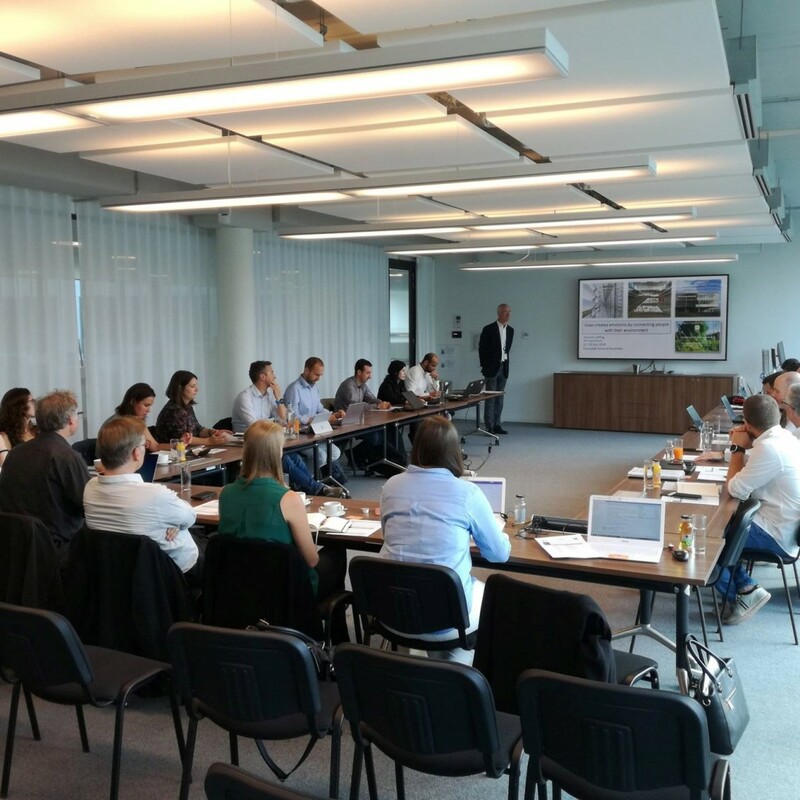 Partners from RINA organized a workshop dedicated to the P2Endure project titled “Deep Renovation Joint Workshop”. The event was organized in conjunction with EENSULATE project and ENVISION project. The workshop brought together stakeholders representing key decision makers and implementers in the field of the deep renovation of buildings, along with retrofitting solutions users, and developers for an array of interactive poster sessions and discussions, and a unique hands-on showcase of the innovative deep renovation of building solutions. 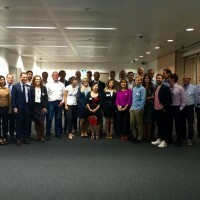 Partners from RINA, namely Paola Robello, presented our project and the whole consortium had a chance to attend this meeting and network with other project representatives. 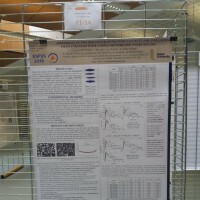 The workshop was attended by 70 people and the projects were presented via presentation, poster session, and brochures. The consortium gathered for the sixth General Assembly meeting in Rome, Italy. 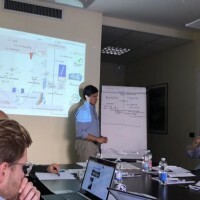 The partners discussed project progress and after that, they participated in an exploitation workshop to agree on the future use of EENSULATE results. 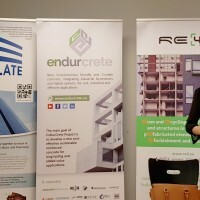 FENIX TNT will present the EENSULATE project via booth and brochures during the upcoming edition of the ECTP conference “When EU Construction Industry shapes high-tech Sustainable Built Environment”. 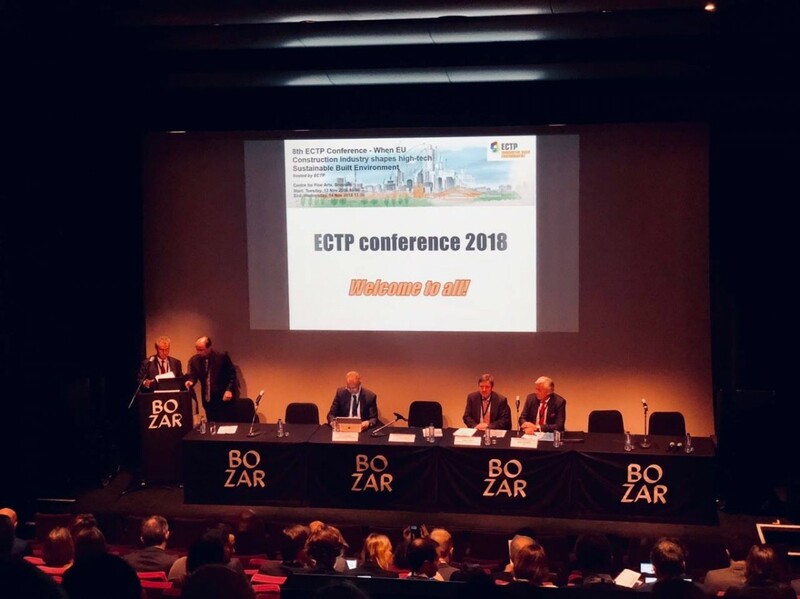 The 8th ECTP open Conference will take place in Brussels on November 13-14, 2018 and will be dedicated to present and discuss current and anticipated innovation in the built environment field. This event is a key opportunity to meet and network with experts, receive a full update on RDI in the construction sector and be informed on new and innovative technical developments. 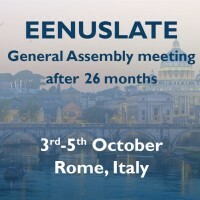 EENSULATE Consortium will soon meet again! 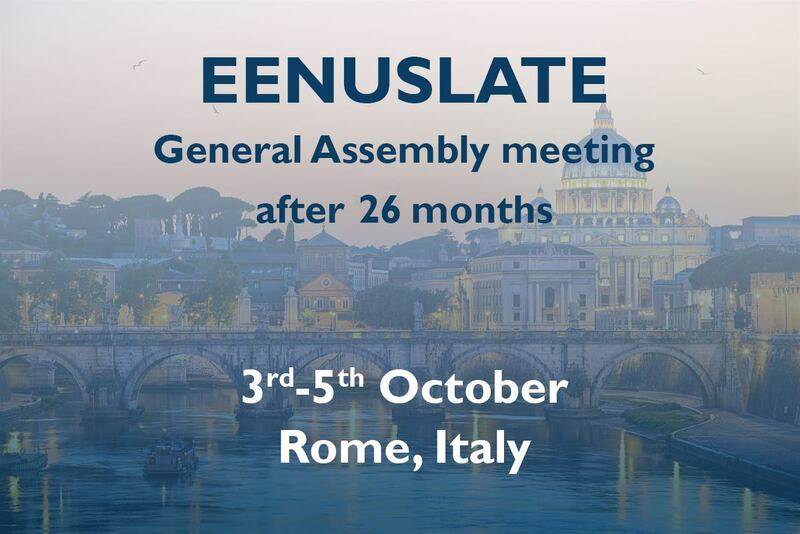 The meeting will be held from 3rd to 5th October 2018 in Rome, Italy. 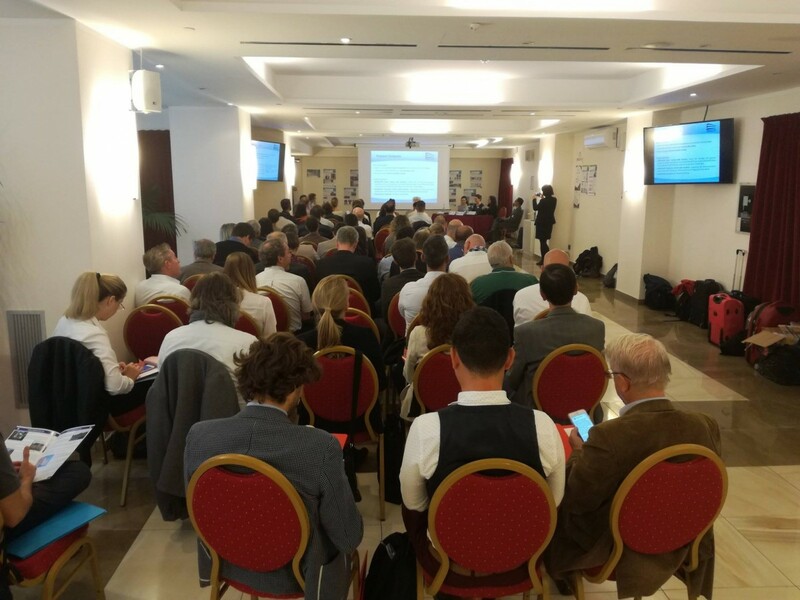 EENSULATE project partners from RINA are going to present our project at the “Deep renovation Joint Workshop - P2ENDURE TCP Workshop” that will take place on 5th October in Rome, Italy. 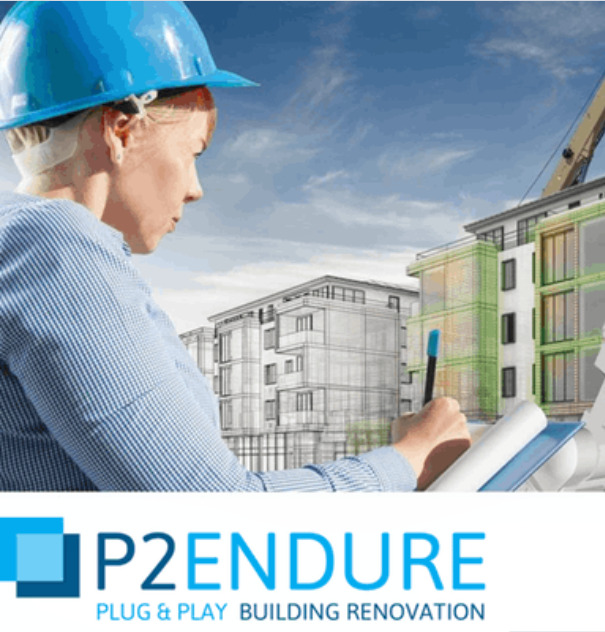 The objective of the Workshop is to raise awareness on the most innovative building renovation and energy saving solutions and as well as to present and discuss altogether the main features of P2ENDURE e-marketplace. More info, agenda and registration HERE. 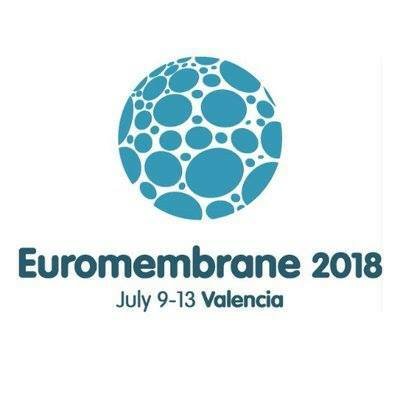 SAES presented the EENSULATE project during the Euromembrane 2018 conference which is an annual conference organized by the membrane group of the Research Institute for Industrial, Radio Physical and Environmental Safety on behalf of the European Membrane Society (EMS). The conference took place from 9 to 13 July 2018 in Valencia, Spain and SAES representatives focused on the sealant modelling in their presentation. 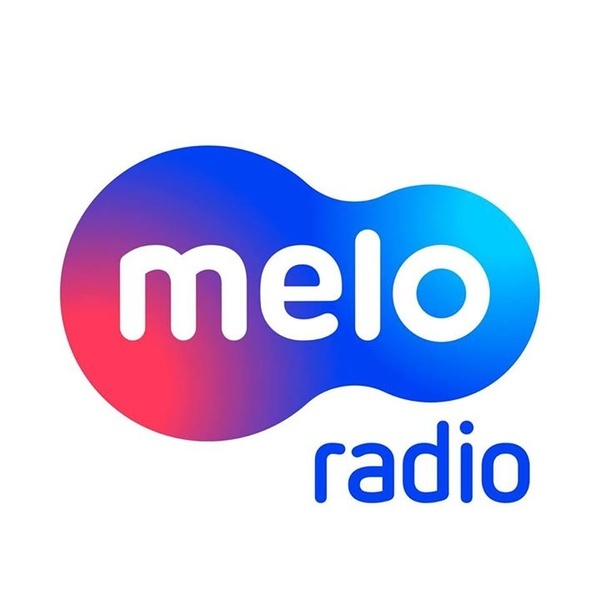 Now you have a chance to listen to the radio interview with the representative of the EENSULATE project, Rafal Pilsniak, in the Polish Meloradio and radio RMF FM with English subtitles. Enjoy! 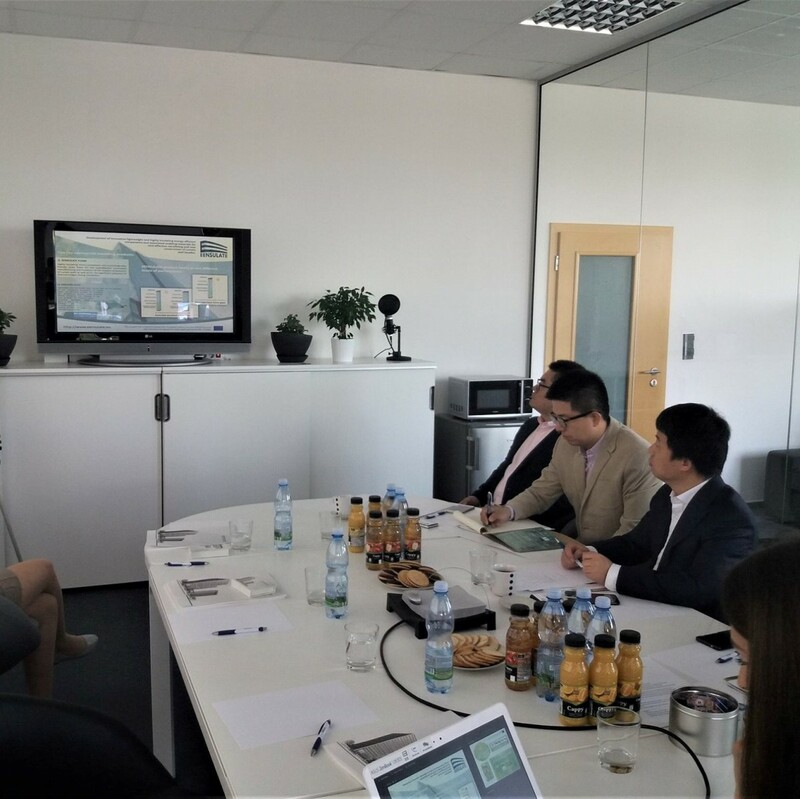 EENSULATE project was introduced to the representatives of the China Academy of Building Research (CABR) who visited the FENIX TNT premises in Brno, Czech Republic on 26th June. CABR is the largest comprehensive R&D institution in the building sector in China. Their research and business cover 70 fields of such specialties as building structure, soil foundation, earthquake-resistance engineering, building environment and energy efficiency, building software, construction mechanization, building fire-prevention, construction technology and building materials. In recent years, CABR has put more efforts to research and development of technologies concerning green buildings, new energy applications, disaster prevention and mitigation and intelligent integration. 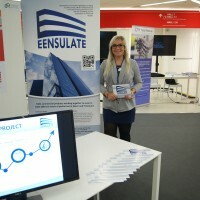 EENSULATE project was presented via presentation, video and brochures. EENSULATE consortium met during the General Assembly meeting after 24 months of the project in Charleroi, Belgium that took place on 11th and 12th June 2018. 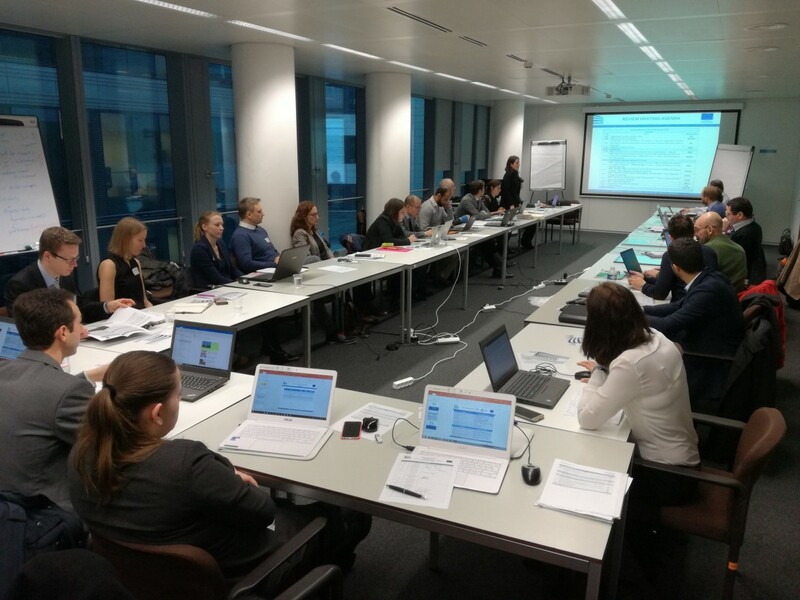 Partners presented the detailed project progress within the individual Work Packages, focused on the last six months and also introduced the plans for the next period of the project. 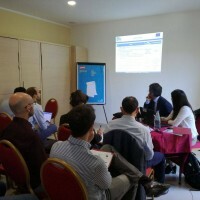 EENSULATE project was presented by FENIX TNT during the Workshop called “E2VENT Project– Horizon 2020 in practice”. The workshop took place on 30th May in Technology Centre CAS in Prague, Czech Republic. The project was represented via roll-up and brochures. 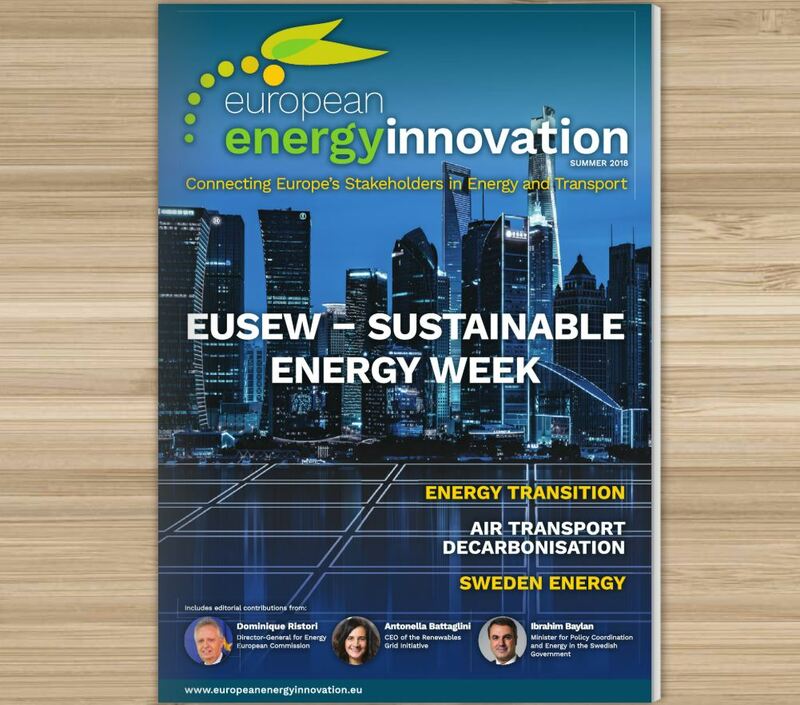 European Energy Innovation (EEI) blends information from the Energy Industry, Research Organisations and the European Institutions to highlight the significant energy challenges facing Europe today and the innovative technologies being deployed to meet them. 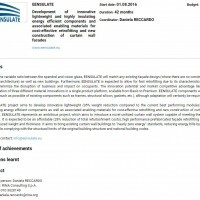 04.05.2018 |EENSULATE latest newsletter is now published on the ECTP website! 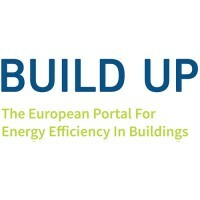 The European Construction, built environment and energy efficient building Technology Platform (ECTP) is a leading membership organization promoting and influencing the future of the Built Environment. 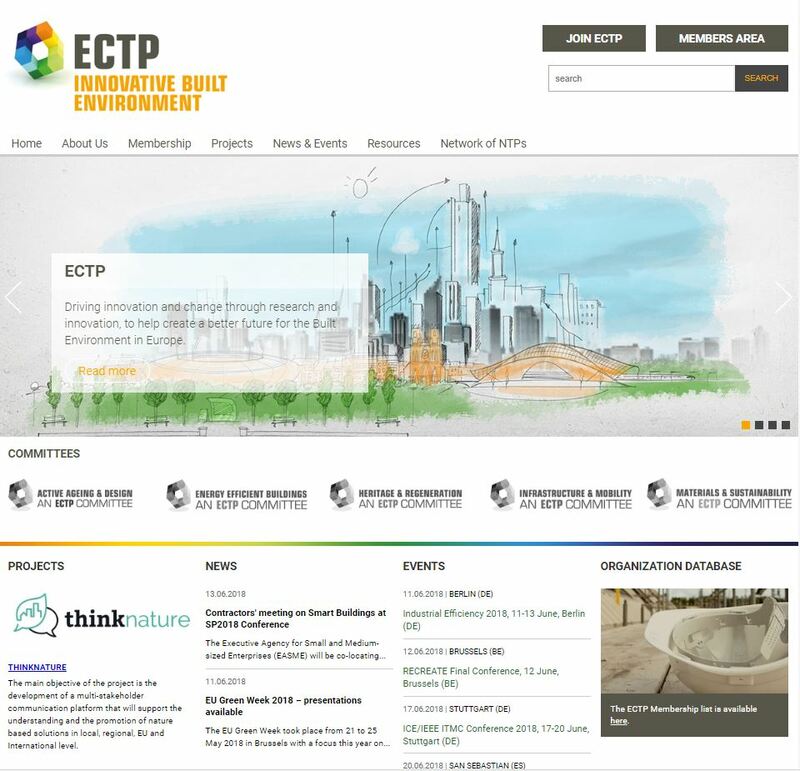 ECTP is today one of the 38 European Technology Platforms (ETPs) which are industry-led stakeholder fora recognized by the European Commission as key actors in driving innovation, knowledge transfer and European competitiveness. Find the newsletter on the ECTP or in our document section. FENIX TNT was representing the EENSULATE project at Building Fairs in Brno, Czech Republic. From 25. to 28.4. 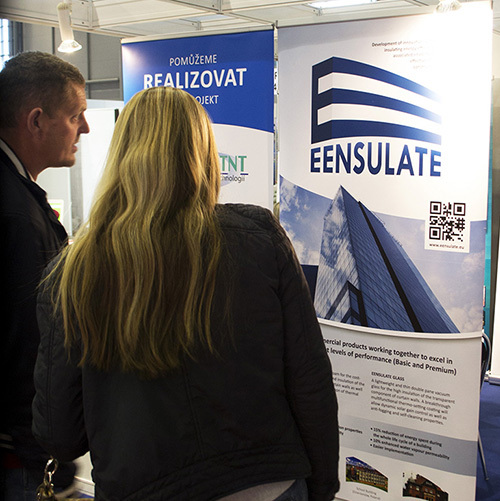 2018 visitors have a chance to see a unique presentation of all aspects of housing and house constructions, building management services, technical solutions and equipment. It was a great networking opportunity for FENIX to communicate with professionals and wide public about the European research projects. 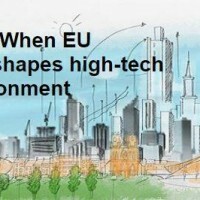 EENSULATE video is now published on the EUagenda website. EU Agenda is a hub for all things EU. 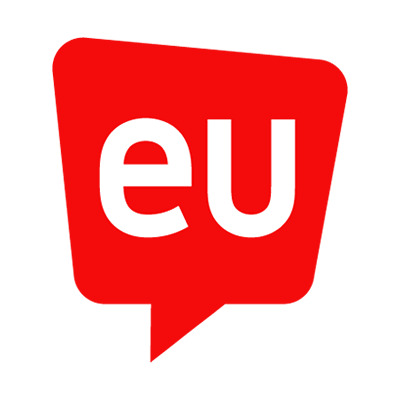 They aggregate, curate and publish the best policy content about EU projects from hundreds of sources. 13.04.2018 |The very first promo video of the EENSULATE project! We would like to share with you the first promo video of the EENSULATE project that is now available on our YouTube channel. 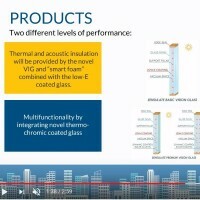 You will learn about the objectives of the project, project concept, EENSULATE products and demosites in less than 5 minutes. 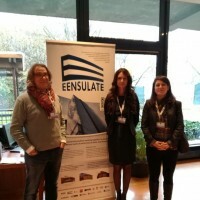 Read about the EENSULATE project at ECTP (The European Construction, built environment and energy efficient building Technology Platform), which is a leading membership organisation promoting and influencing the future of the Built Environment. 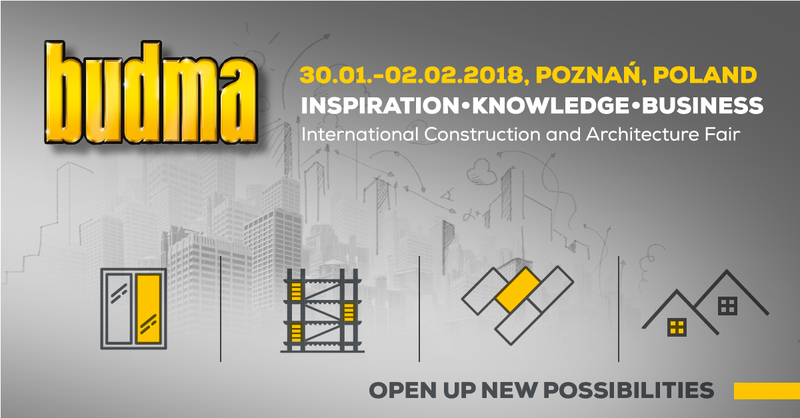 BUDMA is the largest construction fair in Poland and Central and Eastern Europe with more than 800 exhibitors from all over the world. It´s a unique opportunity to introduce new products to wide public and a rich source of latest market information. 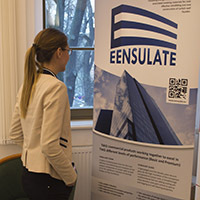 The EENSULATE was presented by FENIX via stand, roll-up, and brochures. The fair took place in Poznan, Poland 30.1.-2.2.2018. 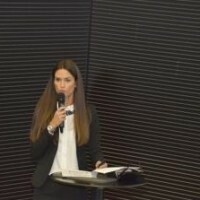 EENSULATE Project was presented at 'New Year's Entrepreneur's Cocktail' in Dzierzoniow, Poland. 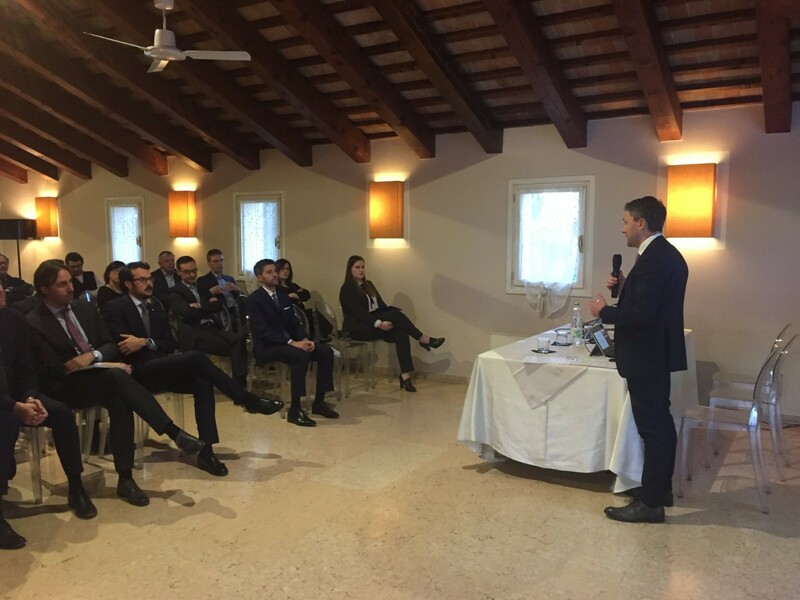 The event took place on 26.1.2018 an it was hosted by the mayor of the town, who invited the most important companies from the city and region. 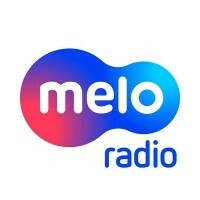 The project was also represented in the Molo radio interview with Rafał Pilśniak. You can listen to the interview here. Watch a TV report from the event here. 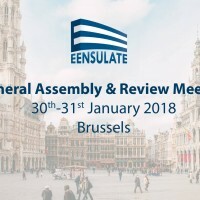 EENSULATE consortium met during General Assembly meeting after 18 months of the project on 26th January in Brussels, Belgium. The consortium shared the overall progress of the project over the past six months and discussed a detailed plan for the next six-month period. 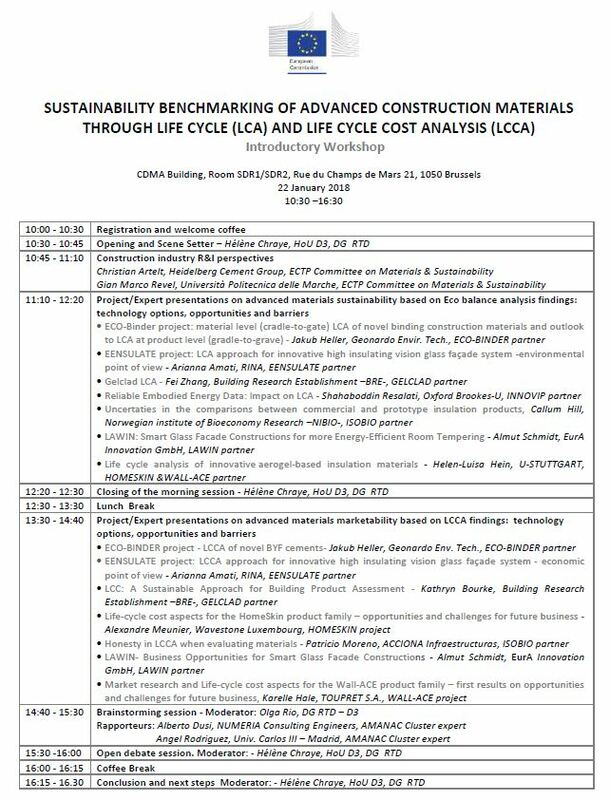 EENSULATE representatives attended an Introductory Workshop called “SUSTAINABILITY BENCHMARKING OF ADVANCED CONSTRUCTION MATERIALS THROUGH LIFE CYCLE (LCA) AND LIFE CYCLE COST ANALYSIS (LCCA)” (part of the AMANAC cluster activities) on 22nd January 2018 in Brussels, Belgium. The EENSULATE project was introduced by RINA in the section “Project presentations on advanced materials sustainability based on Eco balance analysis findings: technology options, opportunities and barriers”. 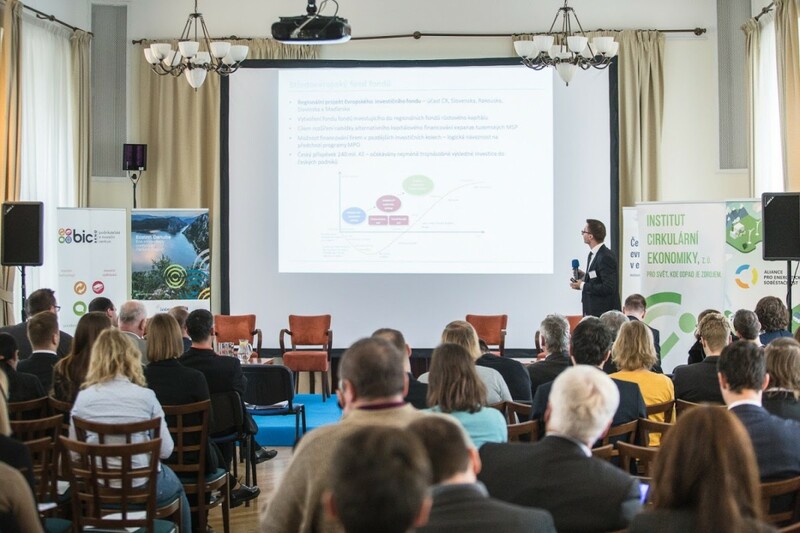 The EENSULATE project was introduced within the FENIX´s presentation at the EKOinnovation Forum on 30th November in Krtiny, Czech Republic. The forum aims to accelerate the emergence of modern solutions into everyday life. Participants were provided with an interesting discussion of current and future trends in this area and introduced modern sustainable technologies that can provide European Union countries with global competitiveness. 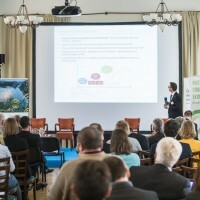 On 22nd November 2017, the Technological Center of the Academy of Sciences of the Czech Republic organized an information day focused on the Horizon 2020 programme (with emphasis on Nanotechnology, Advanced Materials, Biotechnology and Advanced Manufacturing and Processing) in the National Technical Library in Prague. 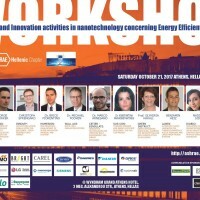 The EENSULATE project was introduced by Petra Colantonio from FENIX TNT. 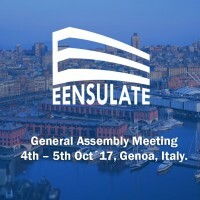 The EENSULATE project was presented by FENIX TNT team at the 33rd International CAE Conference and Exhibition in Vincenza, Italy on 6th and 7th November 2017. The conference and exhibition cover the rich landscape of Simulation Based Engineering and Sciences; distinguished speakers, sponsors, exhibitors, training courses and dedicated Research Agora are all there to enrich the experience with their leading insight in the use of simulation to meet the needs of Industry 4.0. 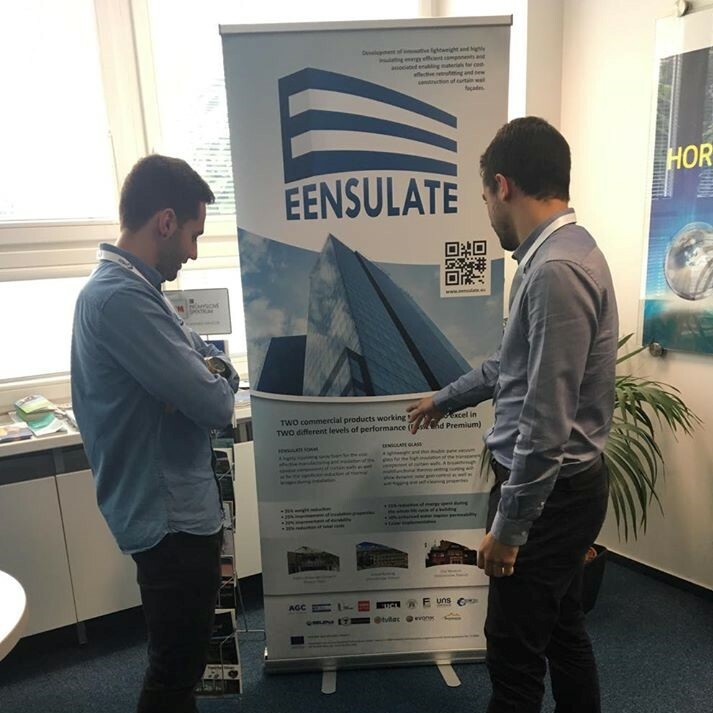 The EENSULATE project was presented at the event at TVITEC headquarters (one of the project partner) on 2nd November 2017. 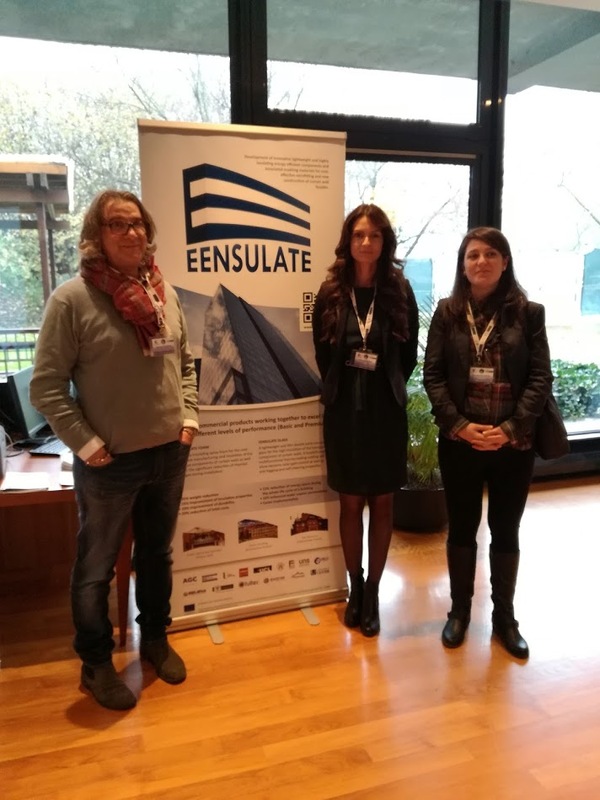 Participants of the presentation had several questions about the EENSULATE properties related to acoustic and thermal insulation and they found EENSULATE products promising and very attractive. 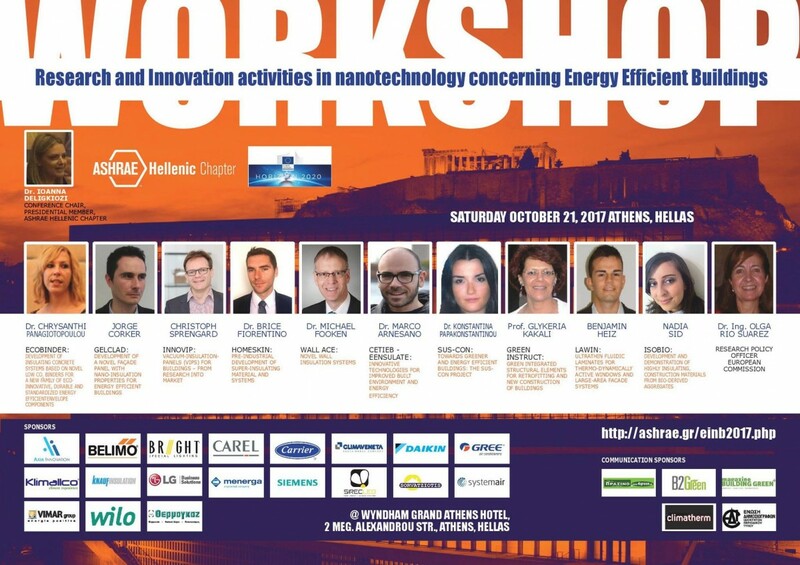 EENSULATE Project was presented at workshop called “Research and Innovation activities in nanotechnology concerning Energy Efficient Buildings” which took place on 21st October 2017 in Athens, Greece. The project was introduced by Dr. Marco Arnesano from the Universita Politecnica delle Marche. Dr. Arnesano focused on Innovative technologies for improved built environment and energy efficiency. 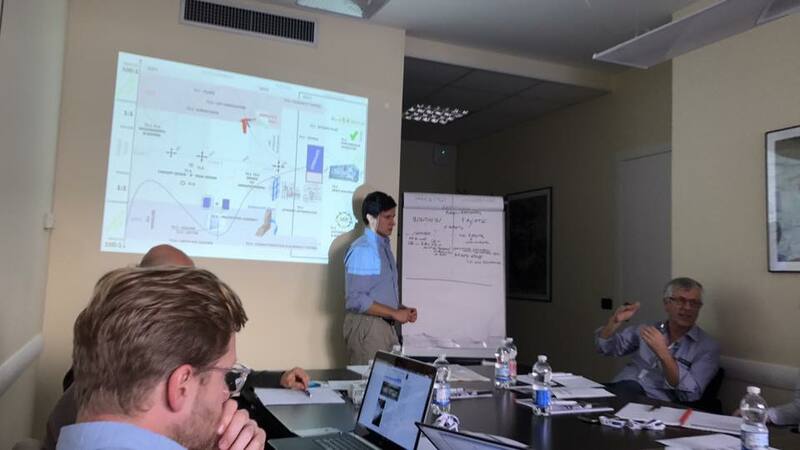 The last EENSULATE Progress Meeting (M12) took place from 4th to 5th October in Genoa, Italy and was hosted by one of the project partners, Rina Consulting. The consortium shared the overall progress of the project over the past six months and discussed a detailed plan for the next 6-month period. 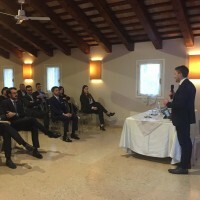 Part of the meeting was also an Exploitation Workshop led by FENIX, which presented a clear vision of the objectives of the project and a well-planned strategy for the protection and exploitation of results. 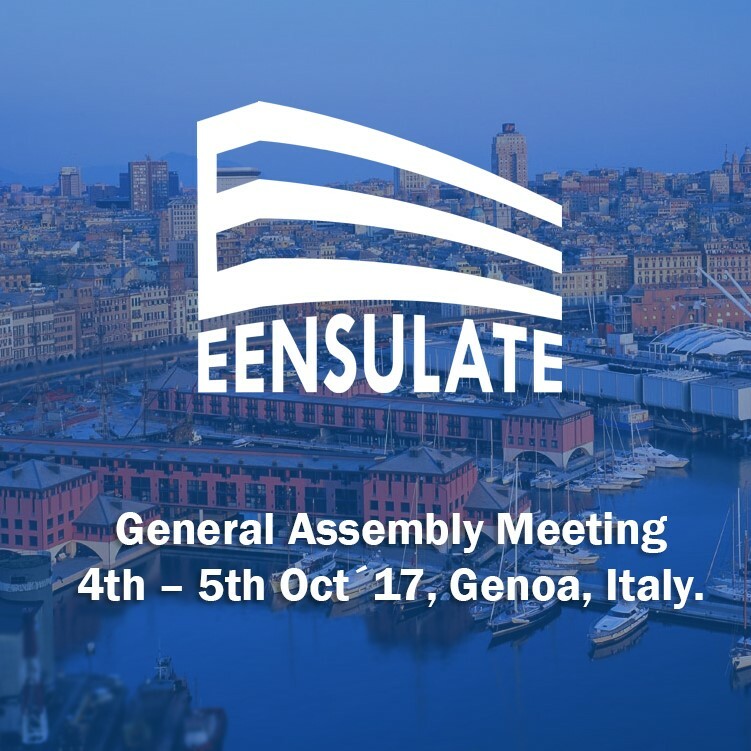 General Assembly Meeting will take place during 4th – 5th October 2017 in Genoa, Italy. The GA meeting will be hosted by RINA Consulting and project partners will present their Work Packages progress achieved so far and plans for the next 6-month period. Part of the meeting will also be an exploitation workshop held by FENIX TNT and Demo sites overview and planning. 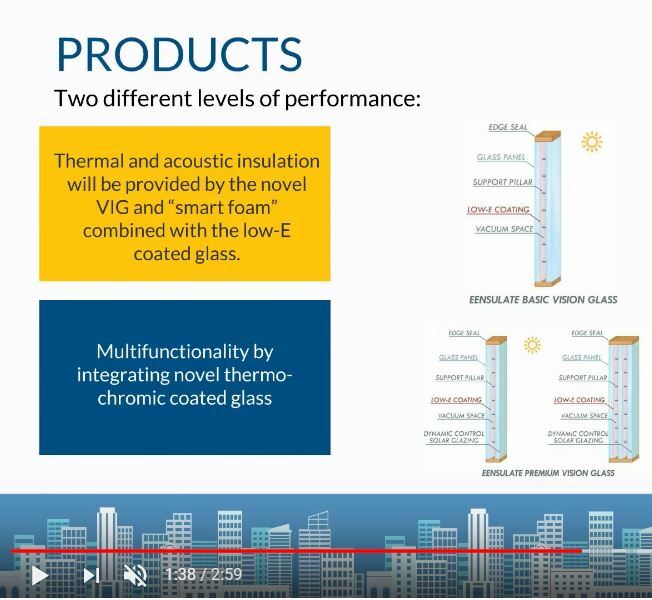 We are pleased to share with you a very interesting paper called "Theoretical Study of Flexible Edge Seals for Vacuum Glazing" released by one of the EENSULATE project partner, Ulster University. 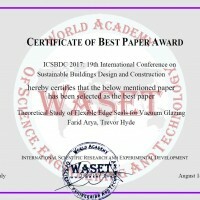 Authors of this paper are Farid Arya and Trevor Hyde. 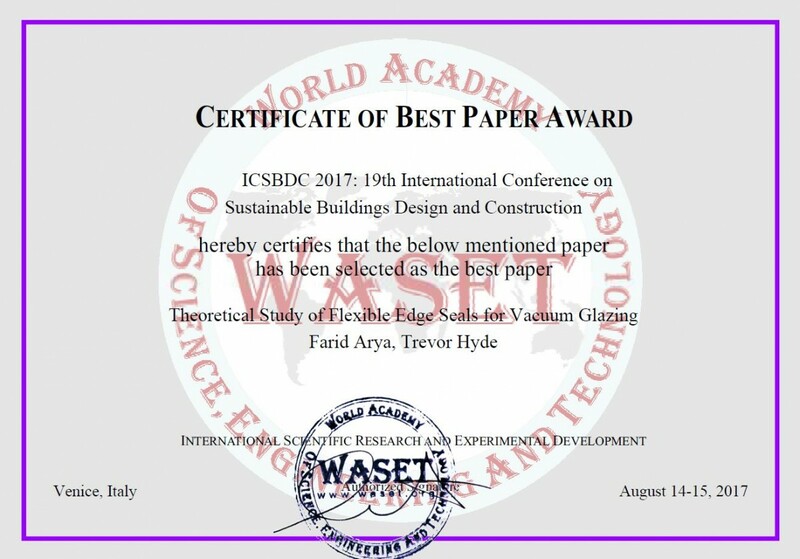 The paper was presented at the 19th International Conference on Sustainable Buildings Design and Construction in Venice (14.-15.8.2017), Italy and the authors received the certificate for the best paper. Congratulations! The information about EENSULATE project was published on the E2VENT project website in the section Cluster project. Custer is a group of projects which have the same topic and are heading to the same goal. 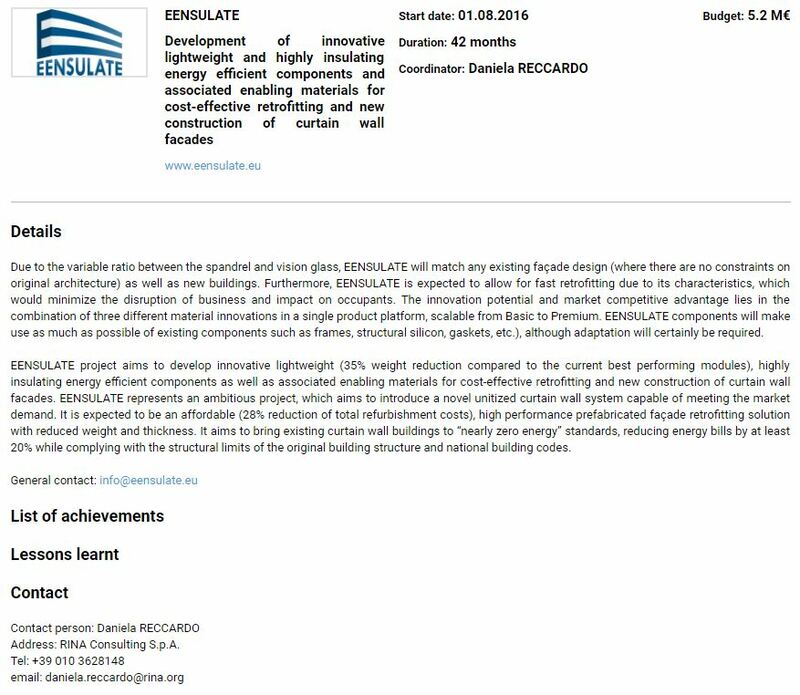 EENSULATE project’s, as well as E2VENT project's main aim, is to develop an energy efficient façade systems for the refurbishment of existing buildings. 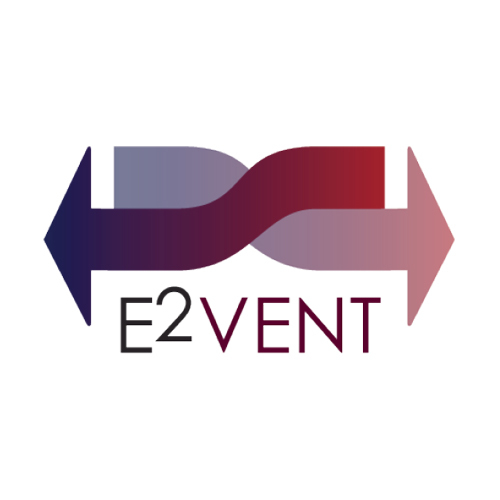 E2VENT presents an innovative technology based on smart heat recovery units and latent heat thermal energy storage which are going to be integrated into the ventilated façade cavity. 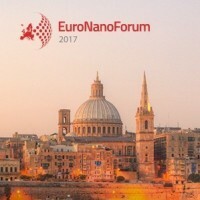 EENSULATE project was presented by SELENA at EuroNanoForum conference which took place during 21-23 June 2017 in Valleta, Malta. EuroNanoForum is focused on strengthening the competitiveness of European manufacturing industries through nano and advanced materials technologies and open innovation. 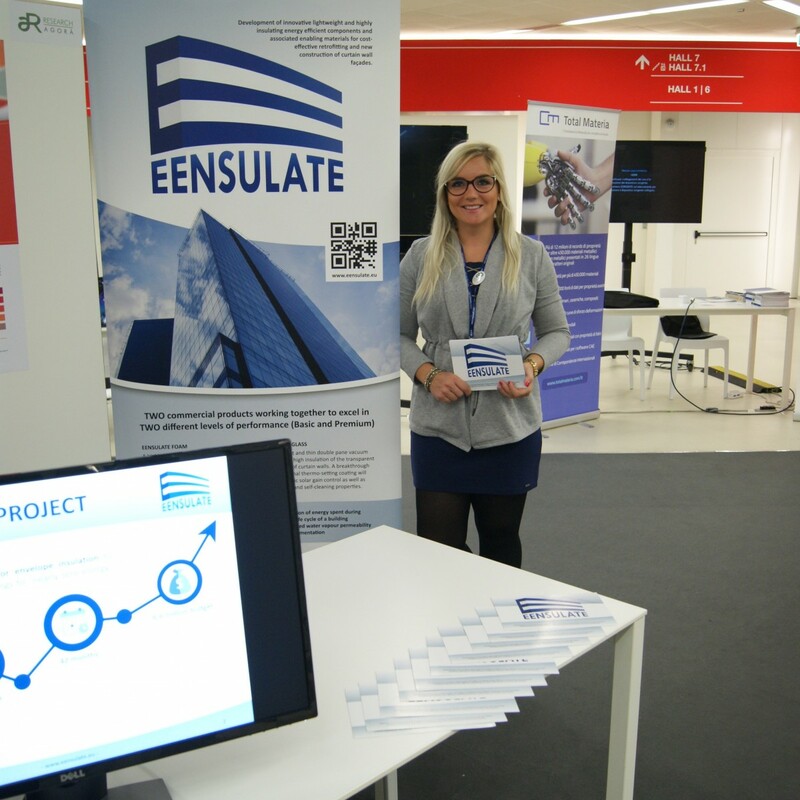 The EENSULATE project was presented by FENIX TNT during the Seminar “Communication strategy in H2020 projects” which took place 20th June 2017 in the Technology Centre CAS in Prague, the Czech Republic. 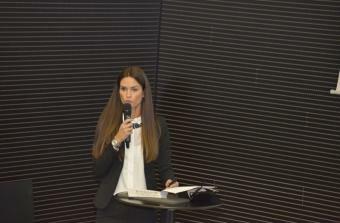 The event was dedicated to education in the field of communication and dissemination in European projects. 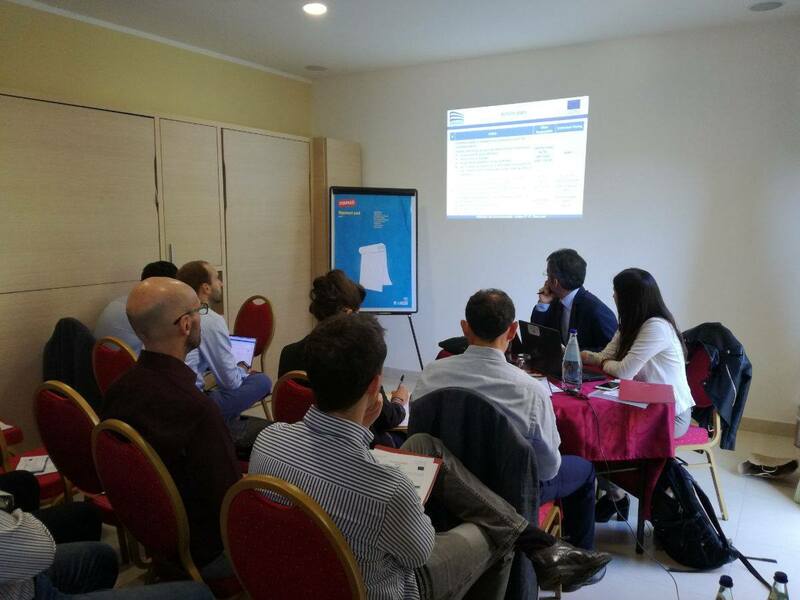 The EENSULATE project was presented by Petra Colantonio from FENIX TNT during the Workshop of the Partnership in Public and Private Sector in HORIZON 2020. 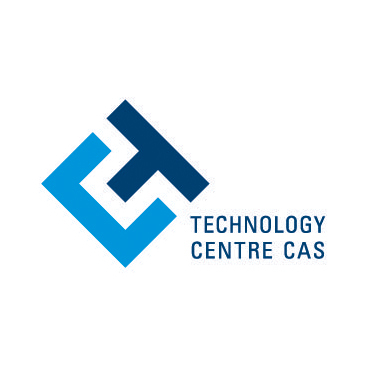 The event was organised by the Technology centre CAS in Prague, the Czech Republic and took place on 24th May 2017. 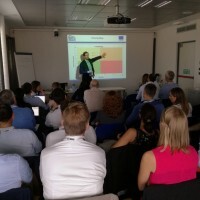 The aim of the workshop was to inform about results made during the programs PPP Factories of the Future, Energy-efficient Buildings and SPIRE a Photonics. 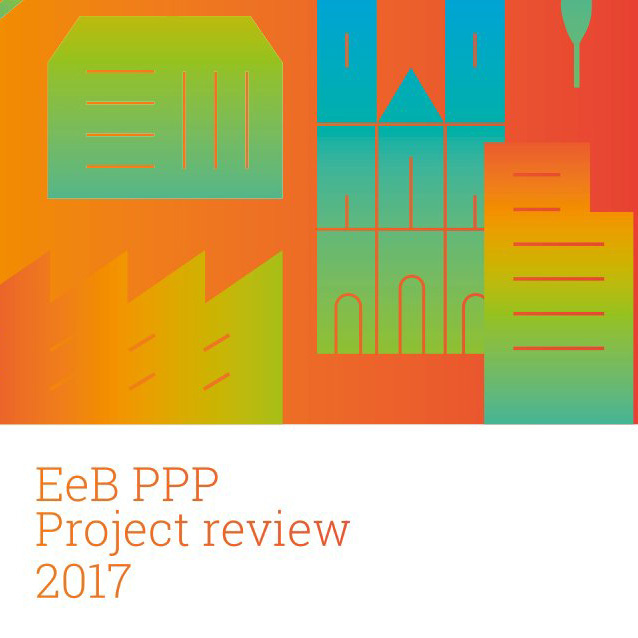 The EENSULATE project is one of the 155 energy-efficient H2020 and FP7 projects presented in the 6th edition of the EeB PPP Project Review 2017. This yearly publication presents the progress and results of 110 co-funded projects within the EeB PPP under the 7th framework programme (FP7) for 2010, 2011, 2012 and 2013 and 45 co-funded projects under the HORIZON 2020 programme for 2014, 2015 and 2016. The EENSULATE project was exhibited by FENIX TNT at the International Building Fair in Brno, Czech Republic. The event took place on the 26th – 29th April, 2017. Fair in Brno is well known for unique presentation of all aspects of housing and house constructions, building management services, technical solutions, equipment, interior design and furniture. Visitors can learn about the latest developments, trends, products and services in various fields. 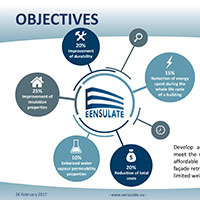 The EENSULATE project could be now found on the Build UP portal. The BUILD UP portal is an interactive web portal which was established by the European Commission in 2009 to support the EU Member States in implementing the Energy Performance of Buildings Directive. The main aim is to bring together new practitioners and professionals in the building sector with interests in the latest developments on technical and practical levels, policy legislations, financial issues, and innovative ideas. 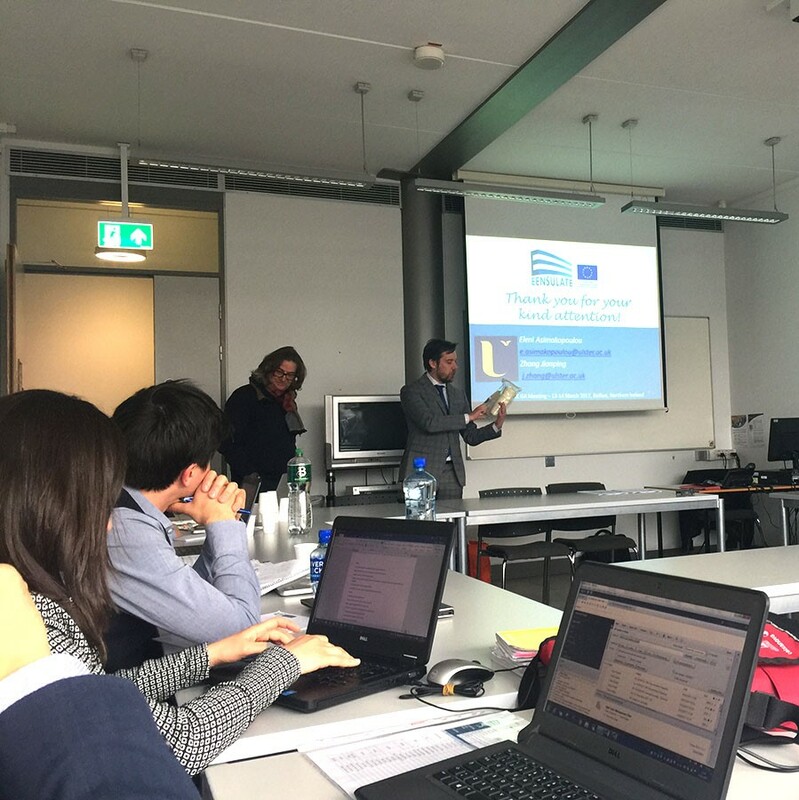 The meeting of the EENSULATE project after 6 months took place on 13th and 14th March 2017, in Ulster University Belfast, Northern Ireland. Partners discussed and presented the development and outputs of the project so far. The open discussion about foam development and technical aspects related to prototype production took place. It was an opportunity to introduce the EENSULATE project innovative foam prototypes to the rest of the project consortium. Participants had also chance to visit the laboratory with fire resistance tests of glass and watch samples to be used in the project. Pictures from the meeting and visits can be seen in the section Gallery. EENSULATE project presentation for usage during the dissemination events have been designed by FENIX TNT and can be downloaded from the section Documents. 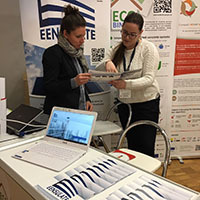 The EENSULATE project was exhibited during BRIMEE Conference organized by FENIX TNT. The conference took place on the 25th January 2017 at the Rectorate Brno University of Technology in Brno, Czech Republic. 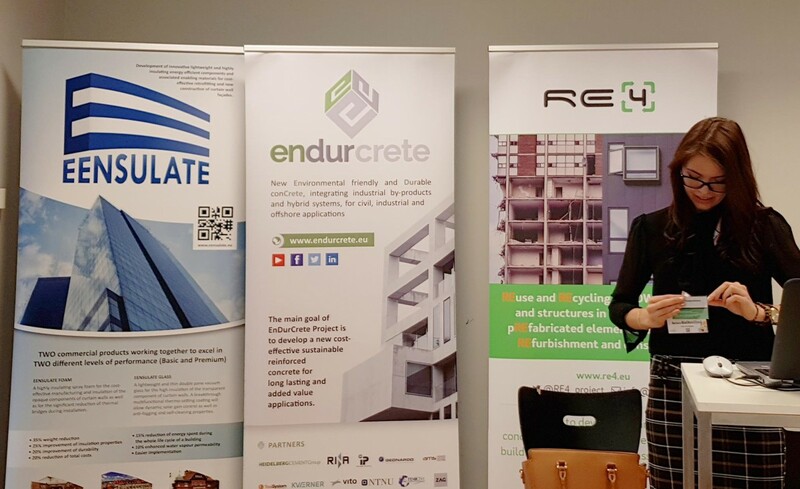 Participants of the conference had a chance to see presentations about various topics linked to green materials, new technologies and innovations in the construction sector. The event was concluded with the BRIMEE project demo site visit, where panels made of the Nano Crystalline Cellulose foam have been installed. Pictures can be seen in the section Gallery. 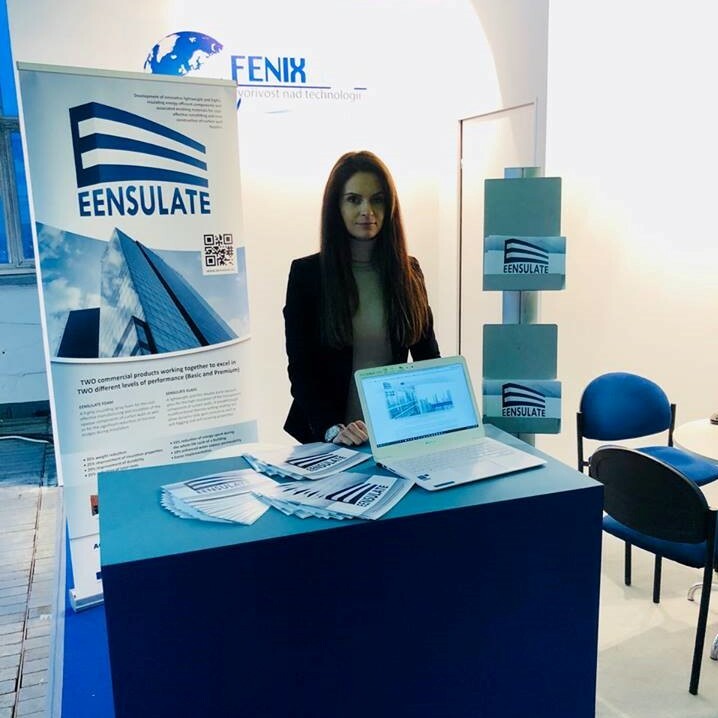 The EENSULATE project was exhibited by FENIX TNT on BAU17, the World’s Leading Trade Fair connected with civil engineering, which took place in Munich, Germany on the 16th – 21th January 2017. BAU presented a display of architecture, materials and systems for commercial and residential construction and interior design, for both new-build and R&M projects. Pictures can be seen in the section Gallery. 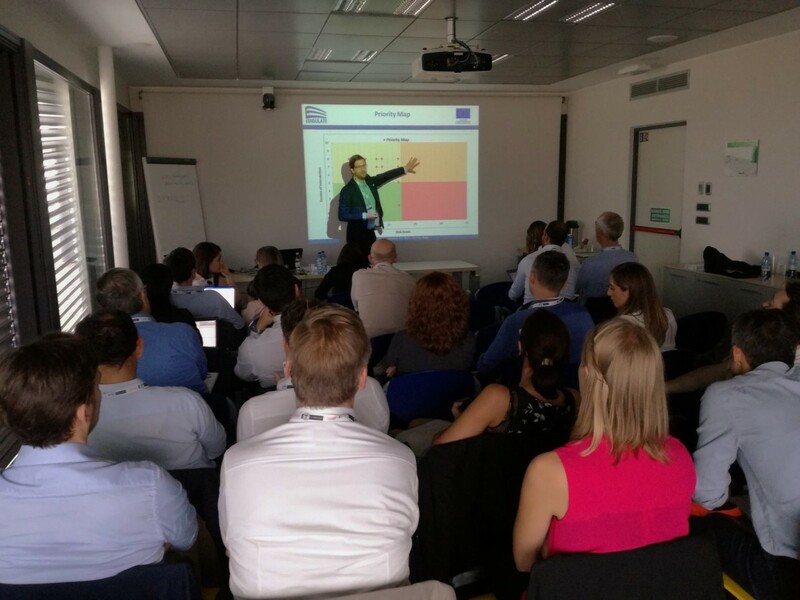 The EENSULATE project was introduced to expert community during AMANAC workshop in Milan, Italy, 23 November 2016. The workshop was co-organized by FENIX and D'Appolonia S.p.A. involving research community, industry and other European projects. 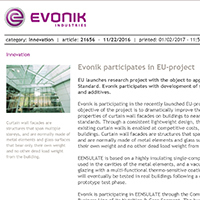 One of our partners, EVONIK, published an article about the EENSULATE project on the EVONIC intranet. The article is meant for all the employees of the EVONIC group. Article can be downloaded from the section Documents. 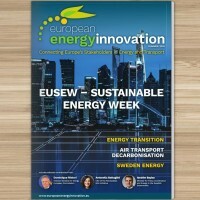 EENSULATE brochure and roll up poster to be used during dissemination events were designed and can be downloaded from the section Documents. 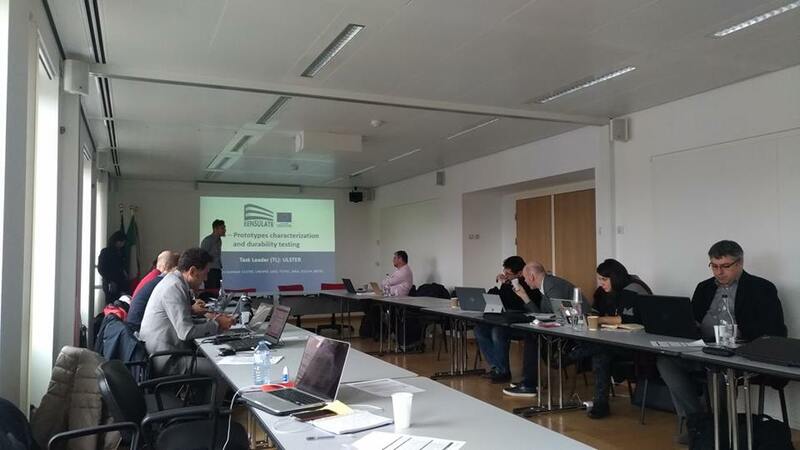 One day WP1 meeting of Eensulate project took place in Genova. Leader of this work package is D'Appolonia S.p.A and concerns business drivers and high level performance specifications. 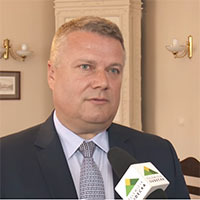 The project partner city Dzierżoniów published on its website a video and a short article regarding their participation in the EENSULATE project. The demo building in Dzierżoniów is mentioned there. 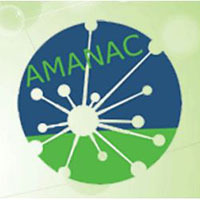 EENSULATE project is now member of AMANAC! AMANAC is the Cluster of all “Advanced Materials and nanotechnology PPP-EeB projects under FP7 and an extension of the Nano-E2B- Cluster”. AMANAC currently represents about 30 European projects and 255 projects partners. The main objective of the AMANAC is to join efforts in order to promote synergies and fields of cooperation among Projects whose activities focus on energy efficiency in the building environment. 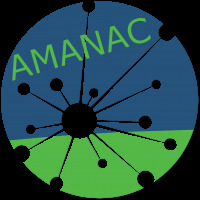 AMANAC Cluster will allow the involved projects to be more productive, competitive, successful and support them to establish a broader social and industrial impact. The EENSULATE project officially started on 1st August 2016. 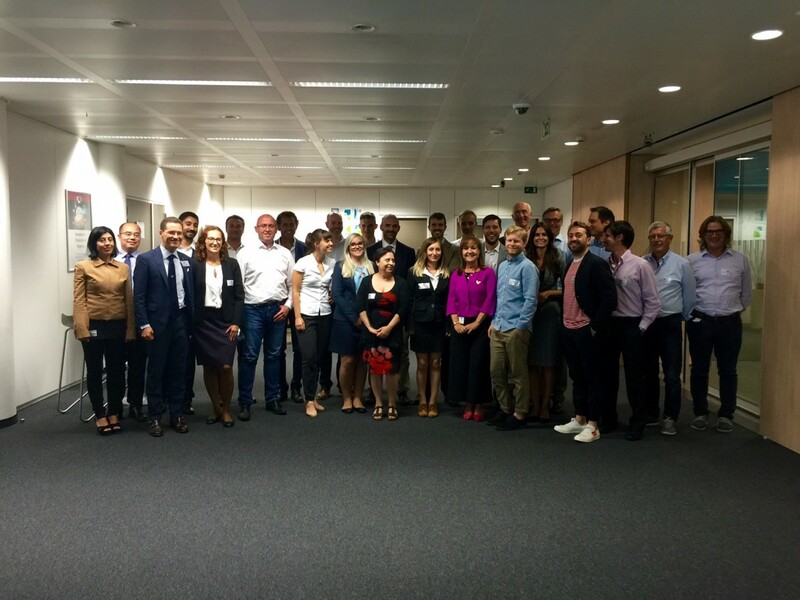 Two days Kick off meeting was held in Brussels, Belgium on 30 th August – 1 st September 2016. 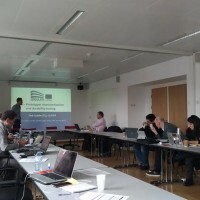 The project consortium consist of 14 partners from 8 countries of EU (Italy, Belgium, Poland, United Kingdom, Germany, Spain, Netherlands and Czech Republic). Social media campaign established for EENSULATE project! 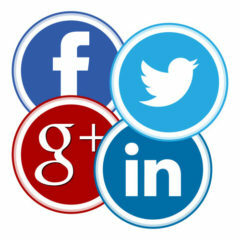 You can now follow us on Twitter, LinkedIn, Google+ and Facebook. 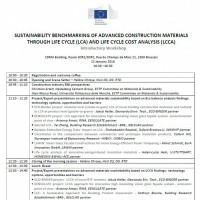 EENSULATE representatives will attend an Introductory Workshop called “SUSTAINABILITY BENCHMARKING OF ADVANCED CONSTRUCTION MATERIALS THROUGH LIFE CYCLE (LCA) AND LIFE CYCLE COST ANALYSIS (LCCA)” (part of the AMANAC cluster activities) on 22nd January 2018 in Brussels, Belgium. 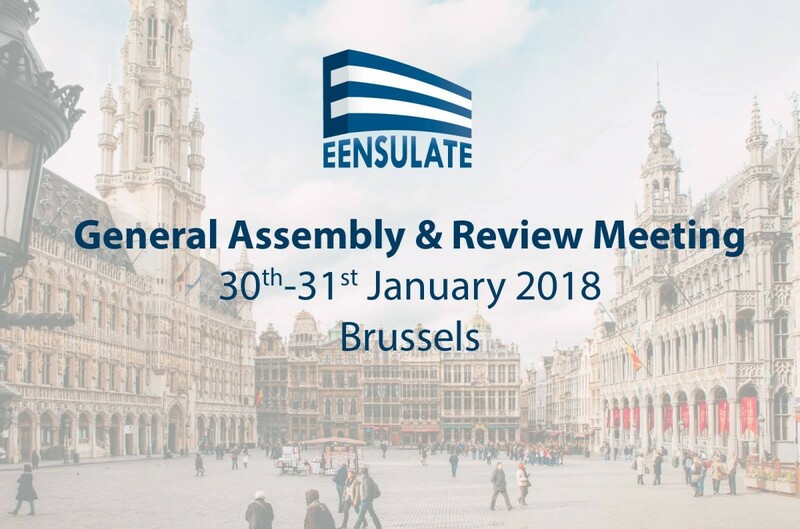 The EENSULATE project will be introduced by RINA in the section “Project presentations on advanced materials sustainability based on Eco balance analysis findings: technology options, opportunities and barriers”. The EENSULATE project will be presented by FENIX TNT at BUDMA - INTERNATIONAL CONSTRUCTION AND ARCHITECTURE FAIR in Poznan, Poland. The fair will take place form 30th January to 2nd February 2018. 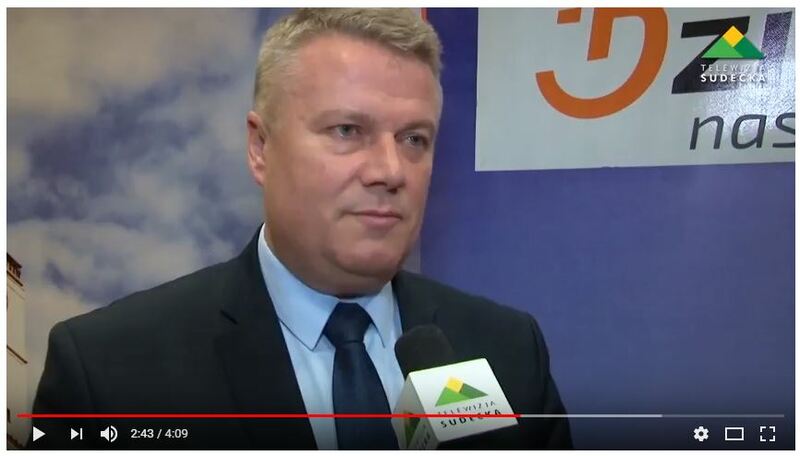 BUDMA is the largest construction industry trade fair in Poland and Central and Eastern Europe. The fair is dedicated to the four major groups of visitors: architects, traders, contractors, and developers. Each year, more than 800 exhibitors meets here over 45 000 professionals. Exhibitors exposure is complemented by a rich programme of events, debates, conferences and seminars regarding the latest trends and regulation industry held by the recognized industry authorities. 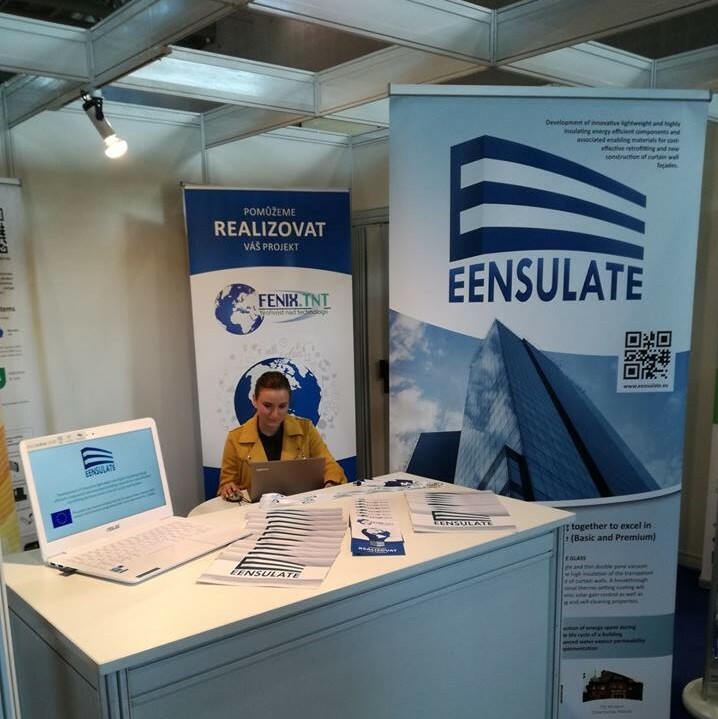 25.04.2018 |Great chance to see the EENSULATE project at Building Fairs in Brno! 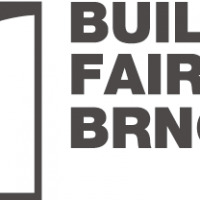 Save the date for visiting Building Fairs in Brno (Czech Republic). From 25. to 28.4. 2018 you will have a chance to see a unique presentation of all aspects of housing and house constructions, building management services, technical solutions and equipment. EENSULATE project will be represented by FENIX TNT from Czech Republic. 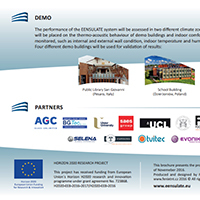 HORIZON 2020 RESEARCH PROJECT This project has received funding from European Union's Horizon H2020 research and innovation programme under grant agreement No. 723868.